Want to get involved on campus, but don’t know which organization is best for you? Come out to ClubFest in Paradise! Where you can socialize with other students who are involved on campus and network with the departments as well! Enjoy a free mini-sub provided by Jimmy Johns, chips and a drink, while learning how to get involved! 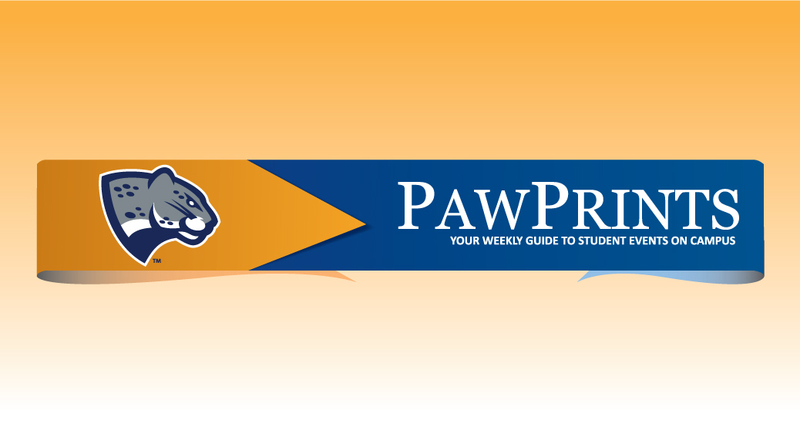 SHOW YOUR JAGUAR SPIRIT – PULL OUT YOUR BLUE & GRAY GEAR and get to campus! Join us as we celebrate GRU’s Annual SPIRIT DAY! The first day of classes each semester will now be known as GRU Spirit Day for all students, faculty, staff, and health system employees! Just wear your blue and gray attire, take a SELFIE, and tag @GeorgiaRegents – you might just win a GRU PRIZE! Trying to find your class? Need a refreshing drink of water or lemonade? Want some information about getting involved or the resources available on campus? Welcome Back Class of 2018! Your first year is behind you and now – onto your second year! We want to celebrate this achievement and invite you to join us for homemade ice cream. For more information, contact Elizabeth Huggins at ehuggins@gru.edu. *Sponsored by Academic Advisement & Second Year Experience. Join us for a Welcome Party for Augustus. Students, staff and faculty will get a chance to welcome our new mascot and take photos, selfies, etc. President Keel, Coach Bryant and SGA Presidents will be in attendance and light food and drink will be provided. Come welcome Augustus to campus and get your official photo taken with him! Come out for a break from classes, a little relaxation, or just to see what the Wellness Center has to offer! From basketball to fitness classes, there is something for EVERYONE at the Wellness Center! The first 150 will get a free water bottle. Join the Jaguars as the Augusta GreenJackets match up against the Savannah Sandgnats! Two-For-Tuesdays presented by SweetWater Brewing Company: Fans can enjoy two-for-one pricing on soft drinks and draft beers throughout the ballgame! The first 200 students will be admitted at no cost. To receive a free meal voucher, be the first 50 returning students to bring a new Jaguar! Students may bring one non-student guest and purchase a ticket for $7. A shuttle will be provided to students from the University Hall Jaguar Express Bus Stop to Lake Omstead Stadium every 30 minutes from 6:30 PM until the end of the game! At 8:30 PM any leftover GRU tickets will be left at Will Call. Want to get involved on campus, but don’t know which organization to join? Come out to ClubFest in Paradise! Where you can socialize with other students who are involved on campus, and find the perfect match for you! Enjoy free mocktails, sno kones and fun activities while learning how to get involved! Leadership, academic excellence, service, and brotherhood/sisterhood: If this is what you want out of your college experience, then you should GO GREEK! Stop by and be introduced to fraternity and sorority life at Georgia Regents University! Come out to the Beyond the Wall poster sale to purchase some cool posters for your apartment, residence hall, or bedroom at home! The poster sale accepts Visa, MasterCard, and Discover. Visit beyondthewall.com. Join us for an afternoon snack! We will review some basic Study Abroad information, our upcoming 2015-16 programs, and have time to answer any specific questions you might have. The I Chose…Diversity Mix and Mingle is an exciting opportunity to learn fun facts about our diverse student organizations and meet partners in diversity and inclusion from throughout our campus. The event is hosted by the Week of Welcome Committee, National Pan-Hellenic Council and the Student Life & Engagement office. Come mix and mingle with new and returning students while enjoying music, networking, and food! The GRU Competition Cheer-leading Team will host tryouts on Saturday, August 22 at 3:00 PM at the Augusta Cheer Academy. Click Here to register for GRU’s Competition Cheer-leading tryouts. Let’s start the semester off with a bang! You made it through your first week of classes – let’s celebrate! Come out for a fun, and entertaining way to unwind! Come kickback, relax, and enjoy a night out with The CREW! Students may bring one non-student guest for $10.00 (cash/check). A shuttle will be provided between University Village, Residence IV and the event beginning at 10:30 PM and running every 45 minutes. *The Jaguar Production Crew is sponsoring this event. Buy or Rent Fall Books Today! Charge your books, supplies, and other items directly to your Financial Aid/Loan account at the JagStore. EGSC Students may charge to their Financial Aid/Loan until August 25. Your aid package must be complete and dispersed. Log in to POUNCE to verify. The JagStore also accepts cash, check, Visa, Mastercard, Discover and JagCard.